Regional wine of Merlot sort, raised by experienced growers of Brestovitsa village. Harmonious wine with fresh aromas and good body, suitable for meat dishes, pasta and various cheeses. Regional wine varietal Mavrud raised by the experienced growers of Brestovitsa village. The wine boasts good body and pleasant aromas of ripe cherry and blueberry. Suitable for a variety of cheeses and red meat dishes. 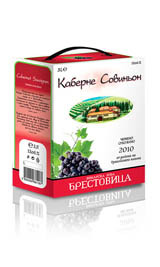 Regional wine of Cabernet Sauvignon grown from experienced growers of Brestovitsa village. Harmonious, solid wine with a distinctive combination of flavors of ripe red and black fruits. Suitable for a variety of cheeses and red meat dishes. Exciting wine, the result of the best wine traditions in the region of Thrace valley. A light golden color with greenish hues. Complex aroma with hints of tropical fruit and herbs. Attractive taste with pleasant freshness. Long and memorable finish.